Why Install French Drains Around Foundations? 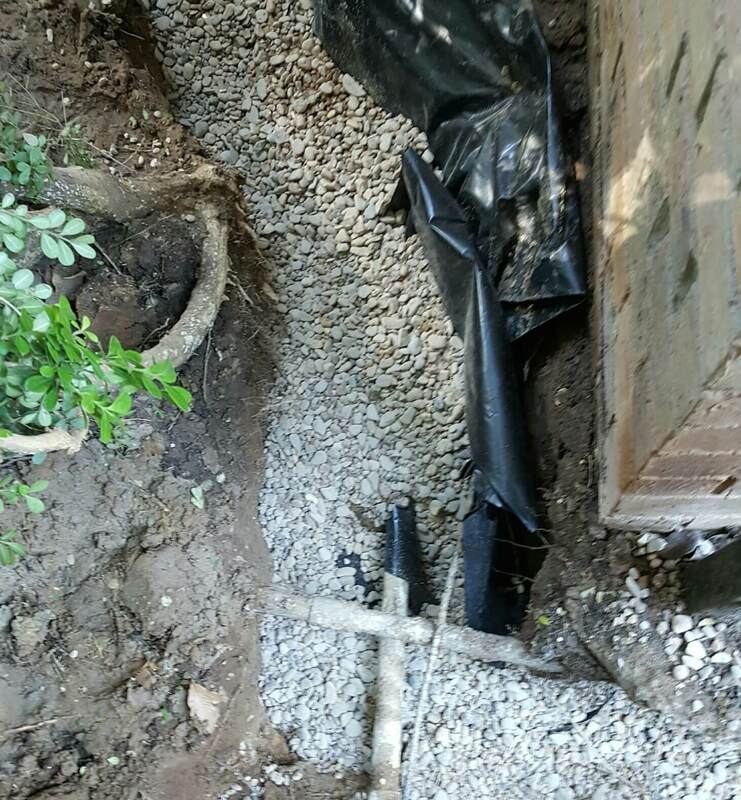 It’s important to install French drains around foundations because a French drain can prevent water from causing foundation damage. This is often a problem in the Dallas, Fort Worth area. When water enters or gets beneath your foundation it can leads to foundation cracks, heaving and many other issues. It helps you avoid deterioration by forcing the water that is surrounding the foundation into into a safe zone. It’s important to remember that water carries a whole lot of weight. In fact, one gallon of water weighs 8.34 lbs. A cubic foot of it weights around 62 lbs. As you can imagine, over 30” of rain per year can mean that a lot of water weight is impacting the soil beneath your foundation. Since the DFW area is known for expansive soil that swells when it gets wet, the dirt under your foundation can shift under the weight of the soil. This is a condition that should be avoided because it can destroy your foundation and negatively impact your house. Are French Drains Positioned Around Slab Foundations Or Pier And Beam Foundations? 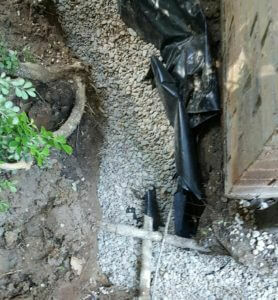 French drains are installed around both types of foundations. They’re created by digging a trench around all or part of your foundation. A drainage pipe is then placed inside the trench. When this drain surrounds a concrete slab foundations, it helps prevent slab foundation cracks. Keep in mind that when water travels beneath under a slab foundation, it can place hydrostatic pressure on the slab. By utilizing a French drain, a homeowner can minimize the possibility of that occurring. And, because water can also force a slab foundation in an upward direction, installing a French drain around the slab will help eliminate heaving. When pier and beam foundations are involved, French drains are used to avoid water damage in and around crawl spaces. Pooling water can cause wood to rot, create mold and a whole bunch of other hazardous conditions. Moisture that is trapped in a crawl space can impact the floors of a house and cause them to sag and squeak. High humidity in crawl spaces should definitely be avoided. Take precautions to preserve your house and prevent damage. If you have noticed water around your foundation, it’s wise to consult with a drainage specialist. At HD Foundations, we service the entire DFW area. Contact us today.